Download information on dot-b. This is a publication from the Mindfulness in Schools Project. .b stands for “Stop. Breathe. And be!”. It is a nine session mindfulness course for secondary schools that was designed by the Mindfulness in Schools Project (MISP). The course was writted by experienced classroom teachers and mindfulness practitioners. See below for more information on what happens in a .b lesson, the aims and objectives of the course – this information has been taken from the following pdf summary entitled “What is .b?” Click here for a copy of the full version. Dr Bernadette Carelse has trained to teach the .b programme in schools. Mindfulness involves learning to direct our attention to our experience as it is unfolding, moment by moment, with open-minded curiosity and acceptance. Rather than worrying about what has happened or might happen, mindfulness trains us to respond skilfully to whatever is happening right now, be that good or bad. This includes paying close attention to inner states such as thoughts, emotions and physical sensations, as well as to what is happening in the outside world. Mindfulness also involves meta-cognitive awareness: doing, feeling and thinking things and knowing that we’re doing so. What happens in a .b lesson? The .b curriculum is a set of nine lessons, each teaching a distinct mindfulness skill, and designed to do so in a way which engages young minds. The lessons typically include a brief presentation by the teacher with the help of lively, pupil-friendly visuals, film and sound images, and practical exercises and demonstrations to make the ideas vivid and relevant to their lives. Click here for a poster of all the 9 lessons. Putting mindfulness in a relevant context motivates pupils to become still and allows the teacher to lead them in some short practices – for example learning to sit still and watch the breath, be aware of different parts of the body, walk mindfully or become more aware of how the body feels under stress. The .b lesson typically ends with an invitation to do some brief practices at home during the week. The whole course is supported by a student handbook. 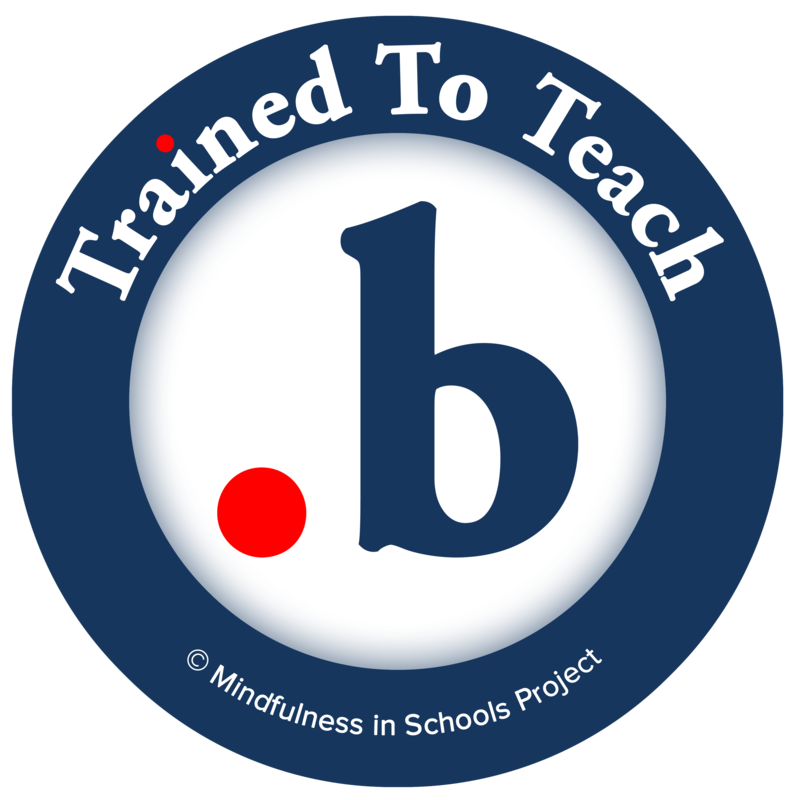 At the most basic level .b aims simply to be an awareness raising exercise to give all students a taste of mindfulness, so they know about it, and can return to it later in life and find out more about then if they think they might find it useful. However many pupils really get into mindfulness in their own lives in the here and now, finding that it helps them to achieve more effectively goals they have right now – such as focus in class, achieve in sport, enjoy a leisure activity, or get on with others. For pupils with problems it can become a lifeline to help them deal with present difficulties. What are the intended outcomes of .b? .b has wider aims too. It intends to help the young people who experience it to overcome difficulties, thrive and flourish – and the research that has taken place into its effectiveness suggests it is indeed meeting these more ambitious goals. To fulfil their potential and pursue their own goals e.g. be more creative, more relaxed, academically, personally. Who can run the .b training in my school? Bernadette Carelse completed the training to run the .b programme in April 2011, when she was a participant on the first Train to Teach .b course. Please contact her to find out about delivering this in your school.